Originally, when I searched for my business name to make sure it wasn’t in use, I checked Jiffy-PC.com…clear! Then I searched for Jiffy-PC in google. Clear, no businesses established with that name that I could tell. Then I realized that if someone heard the name “Jiffy-PC” spoken, and didn’t see it written down, they’d be inclined to spell it JiffyPC, with no dash. In that case, I thought I’d better make sure that JiffyPC wasn’t being used either. I typed jiffypc.com into my browser, hit enter, and…staring me in the face was a full website! Doh! Upon further inspection of jiffypc.com, I noticed that it didn’t really have any content, just a bunch of links to other services; links like “Diagnose your computer problems with such-and-such software” or “Local Computer Repair Services”. At the bottom of the website, in fine print, I saw a link that said “Click here if you are interested in purchasing this domain”. Ah-ha! This was a good sign. That means that there wasn’t a legitimate business out there called JiffyPC, it just means that someone had bought the domain name hoping to sell it for a profit. This is what’s known as website flipping. It’s been a pretty popular way for tech-savvy folks to make money and you’ll see why in a moment. So I clicked the link and was forwarded to a form to fill out. The form would be forwarded to a “domain broker”. I found out a domain broker, much like in real estate, is a person or company that negotiates a selling price between the buyer and seller of the website “property”. The form I filled out asked for my contact information and an initial “bid” amount. It suggested that I bid based on how popular I expect the website to be (translation: how bad do you want it? ), with the average bids being somewhere around $1500. $1500?! No way. I bid $100. The broker responded saying that the buyer declined my bid and is asking for $1750, adding, “Owners of valuable domains will often receive several offers per week. Your offer should be great enough to motivate the domain owner to reply.” What? You gotta be kidding me. I had a feeling that there weren’t many other people out there bidding on this domain, so I gambled on the fact that I could still bid well under the asking price and get the website. I offered $500, which, to me, was still too expensive, but the maximum I was willing to go. The next day I received a response saying the owners were “willing” to offer the domain for $700. Oh, gee, how nice of them. I replied saying that “we” could not afford to budge past $500. I used the word “we” so the broker would have the perception that they were dealing with a company that knew the actual worth of the name, and not some wet-behind-the-ears wannabe business owner who really just couldn’t afford anything more than that. The broker said she would try to convince the owners to sell at this price. Lo and behold, about two days later, the sellers agreed. I saved $1250 just like that! I could have very easily given up, or if I could afford it, paid the price they offered at first. It just goes to show you that in the online realm, even more so than real estate or even used car dealerships, there are shady folks out there looking to screw over unsuspecting consumers. Needless to say, this whole process was a bigger headache than I ever could have anticipated. Understand what the domain is really worth – Most website flippers are out to make as much profit as they can from selling their domains. That means that their initial offer will probably be overinflated. Think about how popular the domain could be. If it includes hot topical buzzwords in it like iPod, Obama, or Palin, then chances are it’s going to be worth a lot. Other examples of expensive in-demand domains are one word domains like car.com, health.com, or computer.com. But in my case, and many of your cases, the domain name will be something you came up with off the top of your head, not related to anything in particular. In that case, feel free to bid whatever you can afford. There’s no hard and fast rules to this game, so don’t let the broker set the rules for you. Once you decide on a bid amount, stick to your guns – Once you present your bid, stick to it, even if the broker tries to meet you “halfway”. Only increase your bid when the broker tells you that the current bid has been flat-out rejected. Be courteous – Even if you are upset with how things are progressing, it’s always important to keep cool, be polite, and stay professional. Most of these website flippers are making money from the advertisements and links they put on their for-sale domains. So they’d probably be more willing to wait for the next offer to come by than deal with a jerk buyer. Act like you know what you’re doing, even if you don’t – Brokers can probably smell an amateur a mile away and will be quick to take advantage of that fact. Concentrate on presenting yourself as a professional. Write well-constructed grammatically correct emails and it may even help to use “we” instead of “I”, just so they think they’re dealing with a firm or organization with some experience. This transcends just bidding on a website. It is important to present yourself as you would like to be perceived in all aspects of your business. A big part of choosing a business name is making sure you secure the domain (the name of your website) for your business name. 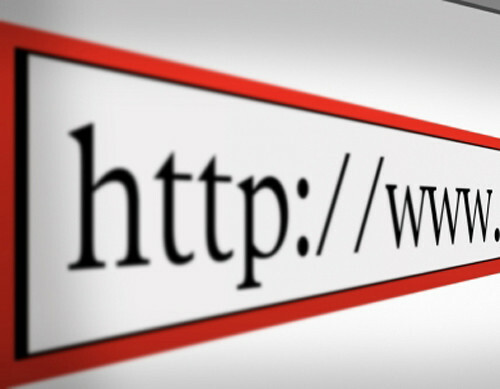 How do you make sure you’re choosing the right domain name? ♦ Try to get www.yourbusinessnamehere.com if it’s not already taken. ♦ Even if your dream domain name is being used, check to see if it might be for sale. ♦ If you can’t get the exact .com domain you want, there are other alternatives such as an alternate spelling of your business name, or ending the domain in .net, .biz, or some of the other endings that are available to the public. ♦ But it’s really important to try to get that .com name if you can, becuase that is what people will try first when attempting to find your business on the internet. ♦ Take into consideration alternate spellings or abbreviations of your name and try to get the domains for those as well. Hopefully my story proves useful to those of you who have yet to get your business domain name. Hurry up and grab it as soon as possible, though, because domains are being scooped up left and right by flippers. Added links to the two domain registrars that I’ve had the best experience with, GoDaddy.com and Dotster.com. Added a great domain name generator by 123Finder.com. Linked to a blog with 10 Solid tips for choosing a domain name. Updated: Is this all greek to you? I’ve added a link to an article called “How to Register Your Own Domain Name”. It’s a great beginners guide that breaks down all the steps I’ve spoken about in my article for folks who have no experience with the process. Thanks for the input Peter! I’m always happy to hear from my readers. Don’t be a stranger and be sure to let me know of any resources you’d like to see highlighted on my Resources page. Wow- what a racket these brokers have! I have heard about people who buy up domain names for just about any minor celebrity in the hopes that they some day are popular enough to want their own name in a website. Then, of course, the brokers sell at an exorbitant price. Dava – Thanks, I don’t look at it as saving money because I wouldn’t have been able to afford the site at the original price to begin with! Very good read. I deal alot in websites…owning about 40 of my own right now. It is a doggy…dog world in the domain name industry. Amazing on what scams are out there. Your article was very informative and good info.. Thanks Dan. Wow, 40 websites, I can’t imagine managing that many! But I definitely can see the allure of having many peices of realestate on the internet, especially if they are making money. For me, the safest is to check if the domain name is available. And yeah, there are so many alternatives that you can choose from and I don’t think that we should not be victimized by website flippers. Nice tips there Matt. well i saw the galaxy s today , my cabby had it on the way home. Its a nice piece of kit. “it”s too complicated” he said. “i”m having so many problems just trying to work out how to use it, i”ve got a mate of mine who”s got one and he just wants to throw it out of the window, but he can”t because it”s so expensive.” as was stated earlier – dominant doesn”t equal good. For those complaining about the price: keep in mind it”s also a GPS unit. Nikon”s GP-1 is almost $200 alone (currently $193 on Amazon), so this is a steal since it”s also a very cool remove. It”s not just a trigger – you can set the delay, number of shots, etc. Their website hints to future plans as well, such as using your iPhone as a “live view” remove device, etc. It”s beautiful and runs smoothly on the iPad. But it seems like another engine demo to me. You”re not free to roam where you want to. Not a lot of depth to the gameplay either, although I definitely prefer swiping to button-mashing. Epic obviously intends to add more features through updates so I expect there will be more complexity added later. Still, it”s gorgeous. My wife just switched from Android to iPhone, primarily because her experience with Android was a disaster. Why? Because of the hardware. There are some great Android phones out there, and then their are some serious duds. You end up with the latter, and it won”t be long before you are pining for something else, no matter how great the OS that is running it might be.